Teaching Position: Associate Professor, University of Iowa, August 2007-. Area of Research: 20th century US history, the United States in the world, US empire, comparative imperial history, and the politics of race and gender. Education: Ph. D. Princeton University, Department of History, January 1998. Major Publications: Kramer is the author of The Blood of Government: Race, Empire, the United States and the Philippines (Chapel Hill: University of North Carolina Press, 2006) [reprinted by Ateneo de Manila University Press, Quezon City, 2006).] Winner of the 2007 Stuart L. Bernath Book Prize, Society for Historians of American Foreign Relations, and 2007 James A. Rawley Prize, Organization of American Historians. He is currently working on Imperial Reconstructions: Racial Regimes and U. S. Globality in the 20th Century. 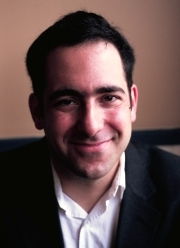 Kramer is also the author of numerous scholarly journal articles, book chapters and reviews including: “Race, Empire and Transnational History,” in Alfred McCoy, ed., Transitions in the Imperial State (forthcoming); “Race-Making and Colonial Violence in the U. S. Empire: The Philippine-American War as Race War,” Diplomatic History, Vol. 30, No. 2 (April 2006), 169-210; “Decolonizing the History of the Philippine-American War,” preface to Leon Wolff, Little Brown Brother: How the United States Purchased and Pacified the Philippine Islands at the Century’s Turn (New York: History Book Club, 2006), ix-xviii; “The Darkness that Enters the Home: The Politics of Prostitution during the Philippine-American War,” in Ann Stoler, ed., Haunted by Empire: Geographies of Intimacy in North American History (Durham: Duke University Press, 2006), 366-404; “Empires, Exceptions and Anglo-Saxons: Race and Rule Between the British and U. S. Empires, 1880-1910,” Journal of American History, Vol. 88 (March 2002), pp. 1315-53. Republished in Julian Go and Anne Foster, eds., The U. S. Colonial State in the Philippines: Global Perspectives ( Durham: Duke University Press, 2003); “White Sales: The Racial Politics of Baltimore’s Jewish-Owned Department Stores, 1935-1965,” in Enterprising Emporiums: The Jewish Department Stores of Downtown Baltimore (Baltimore: Jewish Museum of Maryland, 2001), 37-66; ““Making Concessions: Race and Empire Revisited at the Philippine Exposition, St. Louis, 1901-1905,”” Radical History Review, Vol. 73 (Winter 1999), pp. 74-114. Smithsonian Institution Predoctoral Fellowship, 1995-6. Formerly Visiting Associate Professor, University of Michigan, Ann Arbor, January 2006-May 2007; Associate Professor of History, Johns Hopkins University, May 2004-July 2007; Assistant Professor of History, Johns Hopkins University, September 1998 – May 2004; Lecturer, Princeton University, American Studies, Spring 1998. Co-Editor, “The United States and the World: Transnational Histories, International Perspectives” series, Cornell University Press, 2005-present; Co-Editor, American Foreign Relations Since 1600: A Guide to the Literature (Society for Historians of American Foreign Relations), chapter on the Spanish-Cuban-American War, the Philippine- American War and U. S. Imperialism, 2004-present. Bush’s move here was familiar enough to any student of U. S. imperial history-writing: to smother into oblivion a brutal and protracted U. S. war against the Philippine Revolution (1899-1902) and 47 years of formal U. S. colonial rule by sandwiching them between two would-be liberatory bookends, the war against Spain (1898) and the war against Japan (1941-5). But if Bush’s strategy was recognizable, the use of this usable past was new: sanitized in this way, the Philippine-American past could help sanction a new imperial future in the shape of a global “war on terror.” Invoking José Rizal, the Philippines’ national martyr, at one moment, and Saddam Hussein in another, Bush hailed the universality of “freedom” (at least in its neo-conservative variety) and the need for nations to “earn” it in battle against “grave and gathering danger.” The historical success of the Philippine-American experiment in gun-point democratization vindicated the ongoing Iraq invasion, a project in which, in a neat symmetry, Philippine troops and medics now participated. In turn, the sinister invocation of Saddam’s “mass graves” and “torture rooms” contributed to a century’s work erasing those once operated by conquering U. S. troops in the Philippines itself. What were the historian’s responsibilities at such a moment? The question had not presented itself so urgently when I set out in the mid-1990s to investigate the racial politics of early 20th century Philippine-American colonialism. Indeed, my chosen dissertation topic had earned me some gentle ribbing from grad-school colleagues: in a post-Cold War world, what was this particular past going to be useful for? At the same time, though, pioneering intellectual currents, crossed with ongoing U. S. interventions, were making U. S. imperial power more visible-and more richly legible-to a wider range of scholars than ever before: to American Studies scholars urged to build empire into their “domestic” critiques by scholars like Amy Kaplan; to diplomatic historians, guided towards cultural analysis by historians like Emily Rosenberg; to cultural historians inspired to see the politics of difference, and particularly structures of race and gender, through lenses provided by colonial and post-colonial studies. It was a fascinating crossroads of influences to set up shop at. The question I found myself asking was how, in the early 20th century, at a moment when racial imaginaries saturated global politics, including U. S. international politics, Americans had come to terms with colonial rule over Filipinos, a people with whom they had had virtually no prior experience. Given my training in U. S. history, my initial hypothesis was predictably “Americanist”: that U. S. colonial officials, merchants, missionaries and journalists had “exported” prior racial understandings (of African-Americans, Native Americans and Asian-Americans, in particular) to comprehend the Philippines and its peoples. This interpretation, I now recognize, conveniently aligned the past I was studying with patterns that my largely nation-bound education had prepared me to recognize and, perhaps unconsciously, with the established job categories I imagined myself applying for. If Americans simply witnessed the “same difference” in the Philippines, it demonstrated that U. S. empire could be comprehended without intellectually departing from the conventional canons of U. S. historical understanding. Entirely legible within “national” terms, the world could be “annexed” to U. S. categories without fundamentally challenging them. But the deeper I dove into the archival boxes, the less the world appeared to organize itself in this way. Far from tracking the seamless incorporation of the Philippines into older frameworks, I confronted profound arguments-among and between divergent groups of Americans and Filipinos-over the racial character of the Philippine population and the relevance of this question to matters of power and sovereignty. I witnessed new, imperial racial formations emerging from the specific, historical dynamics of colonial conquest and rule. As Americans engaged in heated debate amongst themselves-were Filipinos uniformly “savages” and in need of permanent, violent suppression, as the U. S. military held, or backward “children” in need of disciplinary “tutelage,” as civilian officials and missionaries believed-collaborating Filipino elites came to play a decisive role in framing the racial terms of Philippine-American colonial state-building. The result of this charged and uneven dialogue was a racial state whose principal dividing line was an essentially religious one, separating Hispanicized Catholics from “non-Christian” animists and Muslims. As I attempted to trace this race-making process across national histories, it became clear to me that it could not simply be “annexed”: embedded in both U. S. and Philippine pasts, it required me to find a way to narrate a history between them. It was going to involve learning Philippine history, with the help of a rich historiography and patient colleagues. And it was going to require paying careful attention to the varied and paradoxical ways that, as the U. S. rose as a world power in the 20th century, it became increasingly subject to the constraints and mandates of a global history. This would be the goal, however incompletely realized, of my first book. But was my version of the U. S. imperial past obliged to answer George W. Bush’s? Historical training and years of scouring archives had made me-and continue to make me-suspicious of streamlined historical analogies and genealogies, even those that hope to connect a critical past to a contemporary politics that I support. Faced with the journalist’s question to historians-isn’t the past you study just like the present I’m writing about on deadline?-one becomes painfully aware of the price of shaving history’s ragged eccentricies down to “precedents,” “parallels” and, perhaps most dangerously, “lessons.” The Vietnam War, for example, had allowed the Philippine-American War to resurface in historical debate in the 1970s and 1980s and, in important ways, the earlier war would never again sink as far in the wells of American forgetting. But during both the Vietnam War and its aftermath, the search for analogies constrained as much as it enabled this scholarship, on both the right and left. In the face of the vast egotism of the present, the persistent but periodical assertion of a history’s “relevance” ultimately serves to deny it its own “weight.” Tethered to “exceptional” moments in the present, such histories are built to vanish. As I revised my book and, in the post-9/11 period, became involved in the anti-war movement on my campus, and as Bush undertook his own effort at past-making, the question took shape with rising immediacy. What was I to do with McKinley’s and Roosevelt’s exceptionalist war waged in the name of “civilization”? With American publics learning their Southeast Asian cultural and religious anthropology by military means? How was I to make sense of extreme, racialized brutality by U. S. forces, including late-Victorian versions of “water-boarding”? How to read a refusal of Filipino self-government on the malleable grounds of intractable, racial-cultural failings, and a Philippine “nation-building” project characterized by an endless regress of “benchmarks”? How, ultimately, was I to interpret a denial of “empire” predicated on an occupation’s permanently temporary character? Inevitably, struggles over the neo-imperial present were raising certain elements of the past into sharper relief for me. And I wanted my work, in whatever miniscule way, to contribute to those struggles. But I did not want to surrender to them or their terms, either. My answer-a highly imperfect one, worked out more in the practice of writing than as a set principle-was to acknowledge but also to resist the force of the present, to write both playfully and darkly in a critical counterpoint between past and present. This meant acknowledging the often eerie resemblances that I observed, but-backing away from rigid analogy or direct lineage-also respecting the history’s infinite distinctiveness. After all, it is from that limitless idiosyncrasy, the puzzling pasts that frustrate both the historian’s standard frames of reference and the journalist’s eternal present, that vital possibilities can emerge. “The 2007 Stuart L. Bernath Book Prize is awarded to Paul A. Kramer’s The Blood of Government: Race, Empire, the United States and the Philippines (North Carolina, 2006). Kramer’s study of race and empire in Philippine-American colonial encounters during the early twentieth century is impressive in both scope and theoretical sophistication. He complicates our understanding of race and racial ideology as it manifested itself in the global arena, showing the dynamic processes through which race became constantly re-configured in imperial encounters between metropole and colony. Kramer adds a new dimension to the historiography of race and foreign relations by showing that empire did not simply project western ideas of racism outward, but that through the process of empire-making race itself became reconfigured in the metropole. In addition, by drawing extensively on Spanish and Filipino sources, he is able to restore agency to the subjects of western imperialism. Employing these materials Kramer argues against the notion that Americans simply transferred domestic racial ideologies onto the Philippines, suggesting American ideas about how to govern Filipinos reflected a complex mix of domestic and transnational factors. Breaking out of U.S.-centered analyses, he shows that the Philippines was not a blank slate on which Americans imposed their vision of racial hierarchy. Instead, Filipino nationalists traveling between Manila and Madrid before 1898 established ideologies of race and nation that U.S. policymakers needed to accommodate. The challenges of governing a diverse archipelago further transformed U.S. race thinking. Turning back to the United States, he also demonstrates how these colonial experiences influenced concepts of race in U.S. politics and culture, leading by the 1930s to a growing movement for decolonization.